Scientists have discovered a promising new solar system 40 light-years away—roughly 235 trillion miles—and it could be our best opportunity yet to find extraterrestrial life. 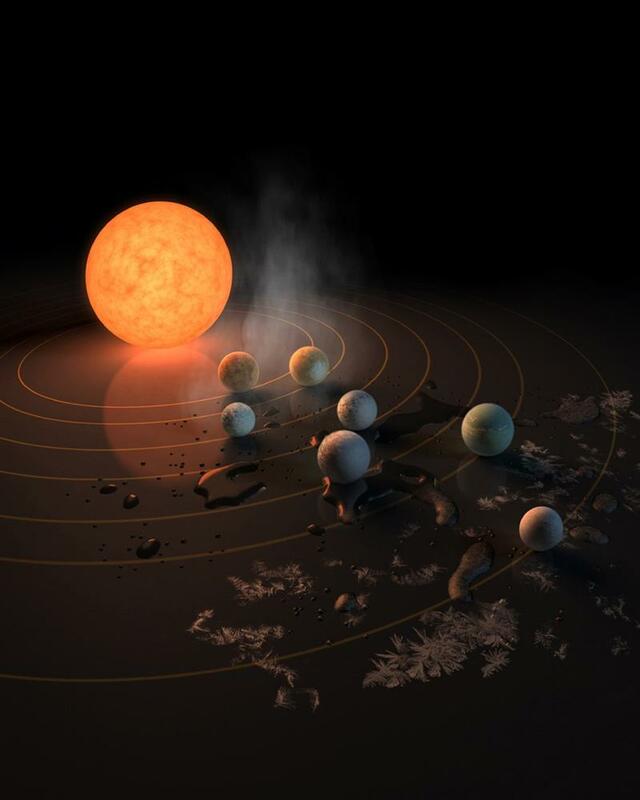 This solar system reportedly features not one, but seven exoplanets, three of which have potentially habitable environments. 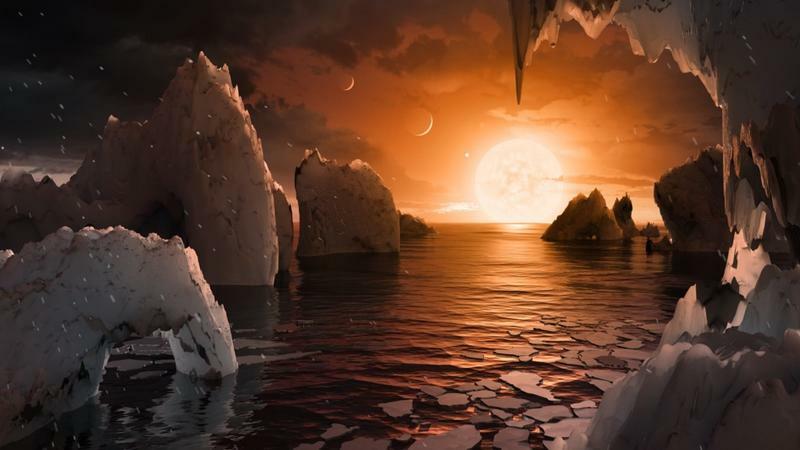 According to scientists, all seven planets could have liquid water, which is the key ingredient for life. “Answering the question ‘are we alone’ is a top science priority and finding so many planets like these for the first time in the habitable zone is a remarkable step toward that goal,” said Thomas Zurbuchen, associate administrator of NASA’s Science Mission Directorate. Known as TRAPPIST-1, the exoplanet system was discovered using numerous ground-based telescopes in conjunction with NASA’s Spitzer Space Telescope, which allowed scientists to confirm the existence and makeup of these planets. Scientists say the planets, which orbit an ultra-cool dwarf, are likely rocky and potentially rich in water. The study found that all seven planets are closer to their host star than Mercury is to our sun. Even cooler, the planets are said to be so close to each other that one might be able to gaze up from the surface of one planet and see geological features of another, sort of like us staring up at the moon. Additionally, the planets are said to be tidally locked, also like our moon. That means one side is always shrouded in dark, which could lead to unusual weather patterns, such as extreme temperature changes and wind. Now that scientists have spotted TRAPPIST-1, the next few years will be about making further observations and confirming current findings. In 2018, NASA will launch the James Webb Space Telescope, which will give the agency a more in-depth look at the atmosphere of these planets, helping scientists understand whether these planets are the real deal. 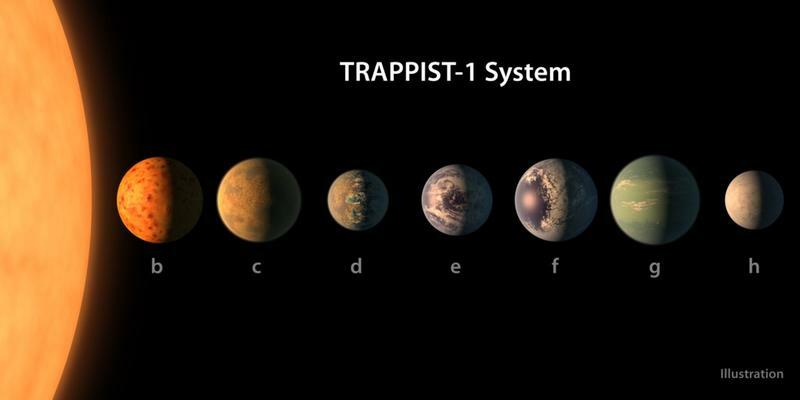 “The TRAPPIST-1 system provides one of the best opportunities in the next decade to study the atmospheres around Earth-size planets,” said astronomer Nikole Lewis.